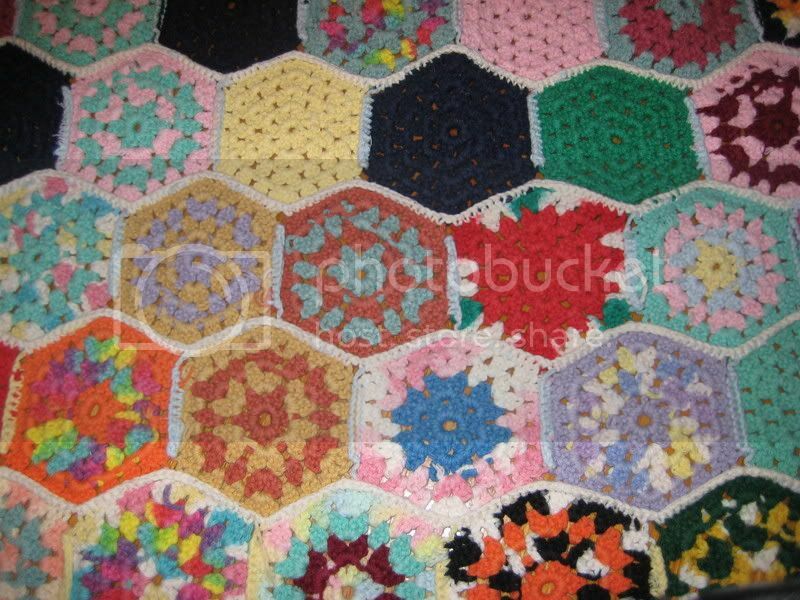 i made this afghan about a year ago. in this pic, it's spread out on my full sized bed. the pattern was really boring, but it was more an experiement on changing color. it's pretty crazy, but that's okay. I love those kind of afghans! I LOVE that and the fact you were willing to experiment. Experimentation makes it more of an art instead of just a craft. 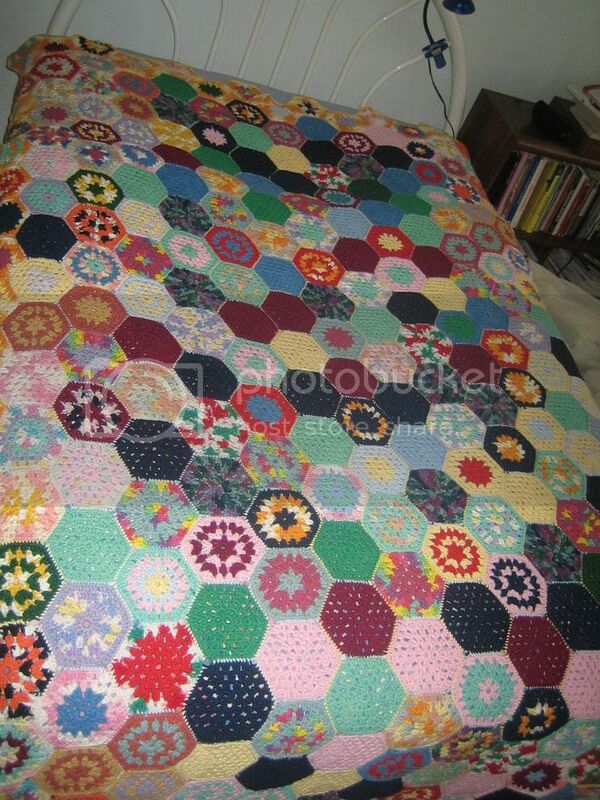 Plus, it looks like a quilt. that's too cool...kinda crazy...that's why I'm attracted to it. I like it! And I'm impressed you sewed all the pieces together. 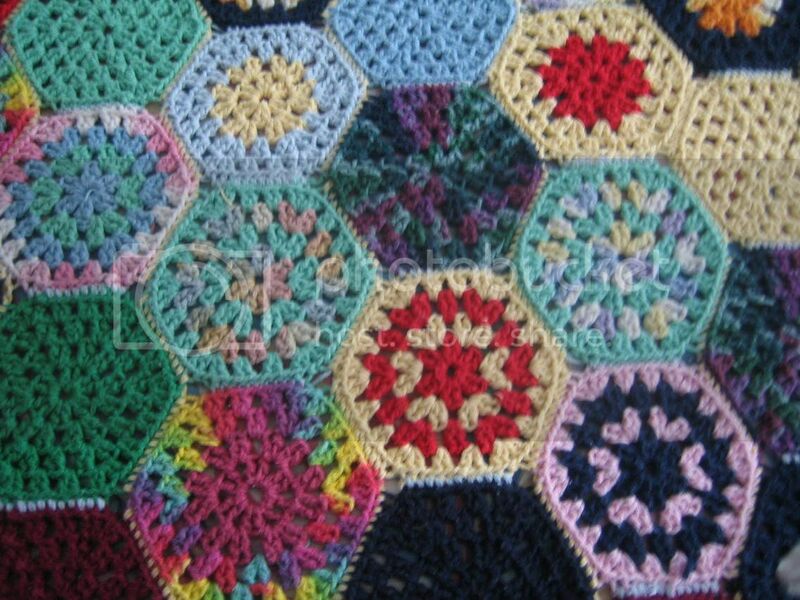 I have popcorn cans (like you get at Christmas) full of granny squares that I'm going to sew together. Someday! Good golly, Miss Molly.... that must have taken a LONG time. It looks really cool! All colorful and stuff. Great great job. seriously, how long did this take you? it looks amazing! I'm making a scrap afghan now, but with knitting so i can learn all different kinds of stitches. I hope it comes out this nice! Wow....I don't have the patience to make something like that. All the color changes and ends to weave and sewing...!! You did a great job! That is so pretty! All of the pieces look so precise! Love it! Gorgeous! Wish I had your staying power to complete something like that!